"BearFootin" . 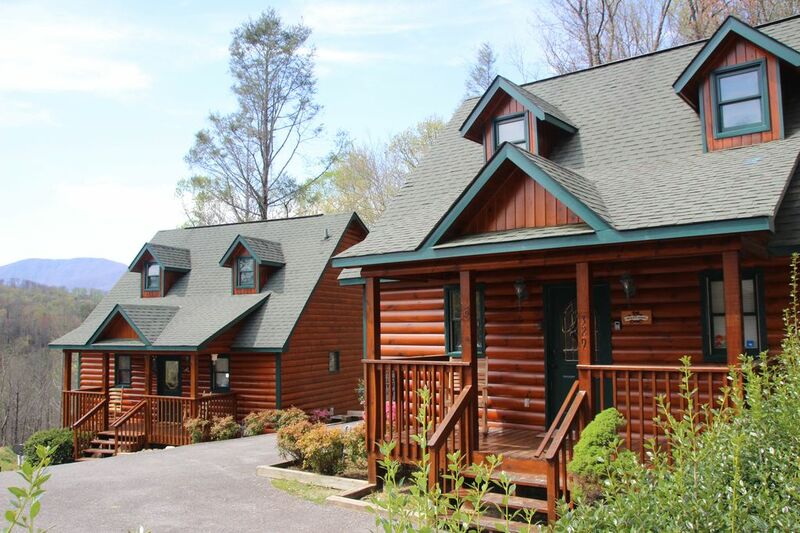 Our home away from home , features excellent mountain views , an open floor plan, cathedral ceilings, hardwood floors, flat-screen TVs and a warm fireplace in the main living area. Two-story windows offer excellent views of the surrounding mountains and flood the house with lots of light. Enjoy relaxing in the hot tub on the screened in back porch. We have been bringing our children to the Gatlinburg area for years and we are very grateful to have a home for us and future guests to enjoy. We live in North Mississippi and enjoy getting to come spend time in the Smokey’s and hope you can do the same. Close to Downtown , Restaurants, and Attractions , Close to the trolley . The cabin was in a great location with nice views and was just right for our family of 4. Great Mountain View’s. The cabin was clean and very cozy. Great location. The cabin was perfect for our get away. We had no problem booking or checking in with our code. Brian was great to answer any questions that we had and responded promptly. We loved the location and the price was great! The boys loved the loft room. The hot tub was nice. The kitchen had everything we needed to cook. We will definitely be back. It was great that we had WiFi access and cable for when we just wanted to hang out at the cabin. We had a great getaway weekend. Cabin was very nice and quaint! Very clean. Quite. Beautiful view. Very clean and everything you need to relax and enjoy yourself!! !